Cloud data lakes are designed for agility: You can load data right from the source, building models on anything you want; grow your environment at your own pace, focusing on data sources that will quickly yield insights; and leverage a host of analytics and application integrations unique to the cloud. 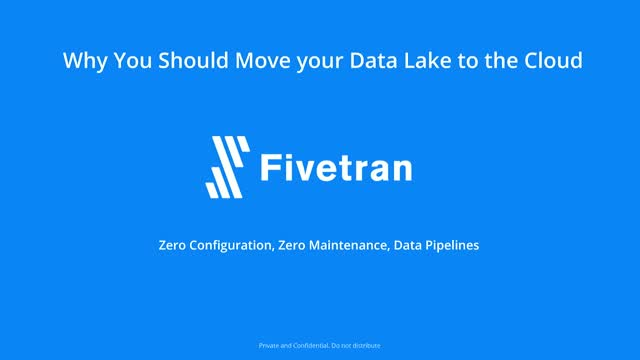 Fivetran is the easiest way to replicate data into your warehouse. We’ve built the only zero-maintenance pipeline, turning months of on-going development into a 5-minute setup. Our connectors bring data from applications and databases into one central location so that analysts can unlock profound insights about their business.